"For elite extraterrestrial pilot EBN-Reyoz-X, awaiting rescue while hiding out in a trailer park in Lancaster, California, is a grueling nightmare. She’s injured, lacks proper supplies and can’t blend in with the indigenous population because she’s seven feet tall and can’t control the trail of wildflowers blooming in the wake of her footsteps. 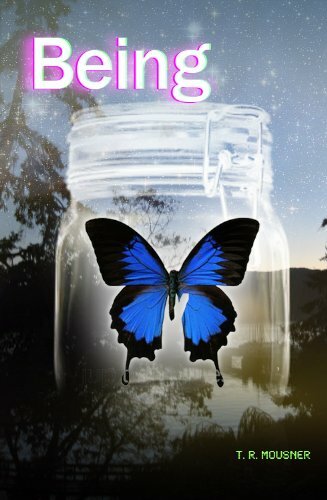 She’s unprepared to begin sexual maturity in the alien land and when she develops feelings for Shale, the mute teenage boy next door, she’s convinced circumstances can get no worse. Except rescue never comes and once word spreads that her touch holds miraculous healing abilities, EBN must find a way to fix her ship, evade capture by the United States Air Force and survive long enough to return home." I do not think I have ever read a Young Adult book about extraterrestrial's, and I have to say that it amazed me. EBN was very, I want to say mature. She reminded me of a very sophisticated woman but then she had the appearance of an eighteen year old. Also, another thing I really loved was seeing things from Aix, her little brother's point of view. Through him we get to see his and EBN's world, which intrigued me to no-end! Especially with all the political stuff with their family going on. Shale, I think really represents the good in human kind, which EBN knew nothing of when she got to Earth or Erox. The book is told from all three of their POV. Having so many POV's is-- I think-- hard for some authors to pull off, but T.R. Mousner really pulls it off as it flows from one to the other without a glitch! The plot of the book was so engaging I was hardly aware of the book going by so fast!! It has some really good attention-grabbing, exciting scenes as well as very good character development. You can hardly tell it is planned development-- it flows very naturally, as does the whole book. It really leaves one wanting for more. I can not wait for more from this author and to find out what happens with EBN, Aix and Shale next!! I HIGHLY recommend this book to anyone who is looking for an excellent one-day read and loves Young Adult novels.